The city of Pittsburgh is home to a long list of attractions including the Pittsburgh Ballet Theatre and Carnegie Museum of Natural History. With so many things to do and see in Pittsburgh, from attending the Three Rivers Arts Festival in June or watching the Steelers play football, it won't be difficult to find something interesting and romantic to do with your date in the city. 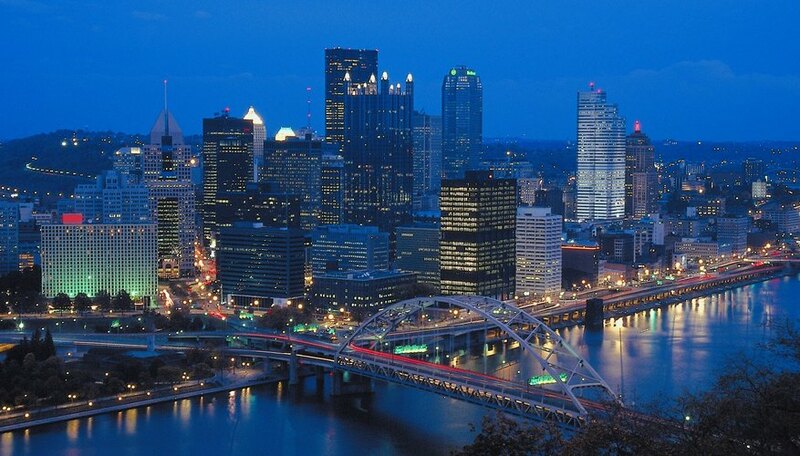 A romantic date in Pittsburgh can include enjoying views of the city at night. Isabela on Grandview was voted Pittsburgh Magazine's "2010 Best Overall and Most Romantic" restaurant. This fine-dining restaurant has panoramic views of Pittsburgh's skyline which you and your date can enjoy no matter where you're seated. Choose a bottle of wine from the wine list or enjoy cocktails and try the prix fixe menu or order pan-seared rainbow trout and mussels or Madeira braised rabbit leg from the a-la-carte menu. After dinner, you may want to share a dessert such as dark chocolate cake or Italian ricotta cheesecake. Isabela on Grandview is open Mondays through Saturdays. Take your date for a ride on the century-old, Duquesne Incline. See the best view of downtown Pittsburgh while getting to know each other during the cable car ride. Your romantic date can start as early as 5:30 a.m. when you can watch the sunrise over the city. Or you can ride the incline to watch the sunset. You may even conclude one of your dates on a late, romantic ride as the incline closes as late as 12:45 a.m. After the ride, you can visit the incline's museum and surprise your date by buying her a souvenir in the gift shop. Rides are available 365 days a year. One of the dance and Music cruises offered by Gateway Clipper Fleet is the Moonlight Dance cruise. You and your date can enjoy a romantic evening dancing to music out on the water underneath the stars on a climate-controlled riverboat. You can dance to a variety of music played by a DJ including hip-hop, rap and old-school R&B music. The Moonlight Dance cruise is offered on Friday nights from June to September. As of March 2011, the cruise departs from the dock located in historic Station Square at 11pm and returns at 1:30 a.m.
Mountaineer Casino, Racetrack and Resort has a spa where you and your date can enjoy relaxing treatments in the resort's spa. You and your date will slip into robes and slippers in The Spa at Mountaineer, where you can then have a Swedish upper-body or full-body couple's massage. During your visit to the spa, you and your date will receive a complimentary glass of wine or champagne with your service. Other massage therapy and body and skincare treatments are offered. The Spa at Mountaineer is open from Wednesday through Sunday. Romualdez, Veronica. "Romantic Date Ideas in Pittsburgh." Dating Tips - Match.com, https://datingtips.match.com/romantic-date-ideas-pittsburgh-8019613.html. 09 June 2015.